}); relaxed and healthy: Wash Day -Refresh! 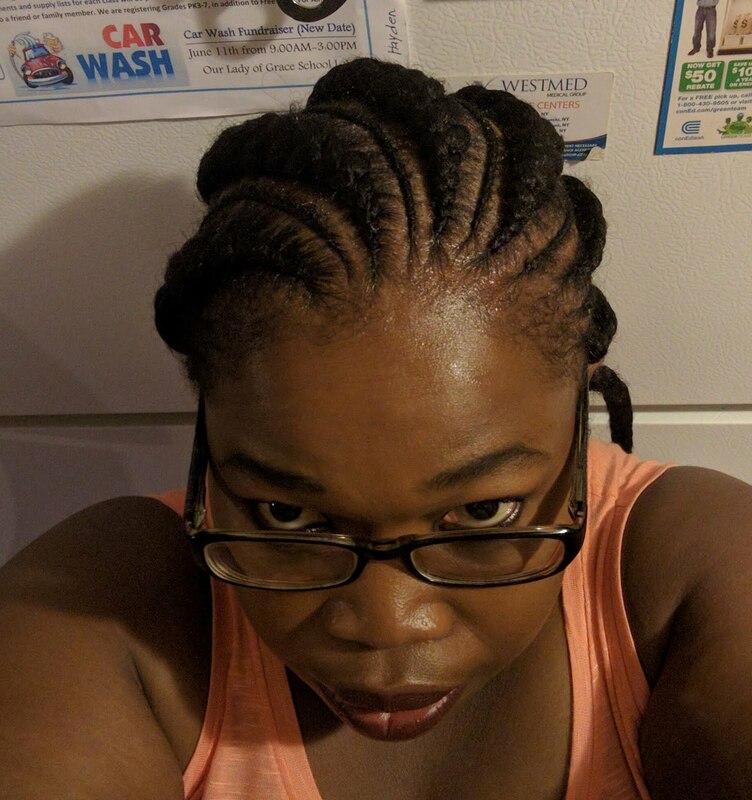 "I misplaced my flash drive with all my blog post so this post is a little late"
So if you remember from my last wash day post I installed braids; I kept the braids in for four weeks before removing them. To keep my hair moisturized during that time weekly I oiled my scalp with Jamaican Black Castor Oil and moisturized every other day using this method here. I must say it this is a great way to moisture and keep my hair moisturized. 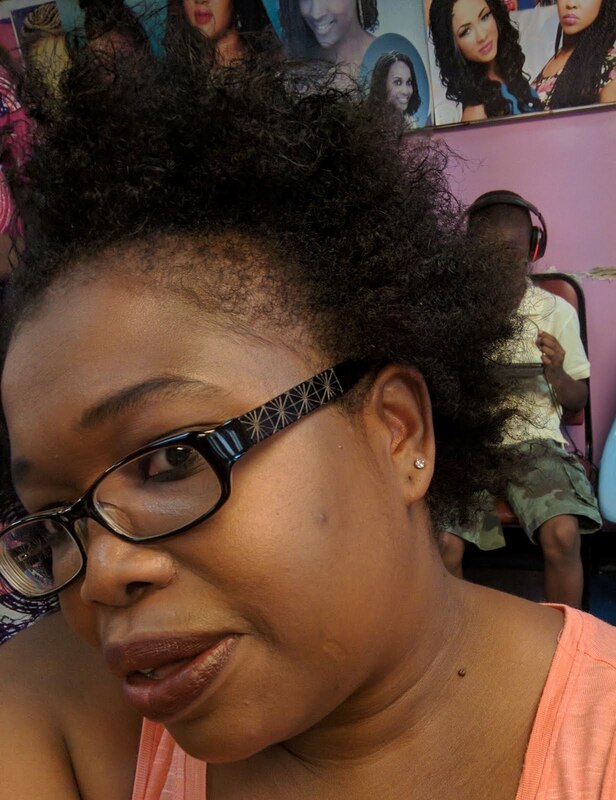 After a month of not washing my hair here is how I went about getting my hair clean and prepped for a reinstall. Prepoo- Once all the braids where removed I saturated my hair with my oil mix and detangled, after the detangling session I sprayed my entire head with diluted apple cider vinegar and further detangled. Shampoo- I then shampooed twice with ORS creamy aloe shampoo to ensure I get my scalp really clean and remove all the built up for my hair. 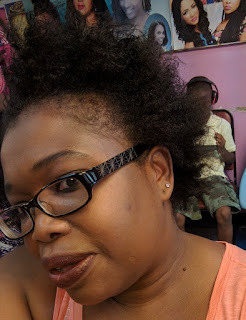 Deep Condition- Deep conditioned with Ettenio Moisture Fusion deep penetrating conditioner and Jamaican black castor oil for 45 minutes under my conditioning cap for 45 minutes. Once my hair was cool I rinsed with warm water to remove the conditioning mix and finished off with cool water to close the cuticles. I then wrapped my head in a t-shirt to remove the excess water. Leave-in and Moisturizer- When my hair was about 80 percent dry I sprayed it with Crème of nature strengthen and shine and detangled and put it into five sections. I then applied African pride Shea Butter Buttery crème to the hair and Jamaican Black Castor oil to the scalp. I then did three two strand twist in each section and left to dry overnight. The next day I went and have cornrow braids install, I hope to keep them in for three to four weeks. The hair looks beautiful. I love the braids. It's time for me to oil my scalp too.